In 1994 a group of friends came together to share their passion for music, to form a choir that would eventually become The New Choral Singers. Today the choir is a 55-strong voluntary polyphonic group whose aim is to provide music performed at the highest standard for the delight of all. Throughout the years as the number has grown, the repertoire evolved, so that now the choir performs music that spans more than 500 years ranging from Renaissance and Baroque compositions, through to works of our time – music by celebrated composers such as Tallis, Mozart, Charpentier, Haydn, Vivaldi, and Rutter, just to mention a few. The choir enjoys an excellent reputation and receives very good reviews for its performances and services. TNCS regularly performs in Malta, giving concerts in select venues which over the years have included the Chapel at Bir Miftuħ, St.John’s Co-Cathedral, St. Paul’s Pro-Cathedral, and the Manoel Theatre in Valletta; as well as the Metropolitan Cathedral and the Carmelite Priory in Mdina. Moreover, the choristers frequently lend themselves to the animation of various events including fundraising activities for philanthropic organisations, corporate events and religious ceremonies such as solemn services and weddings. 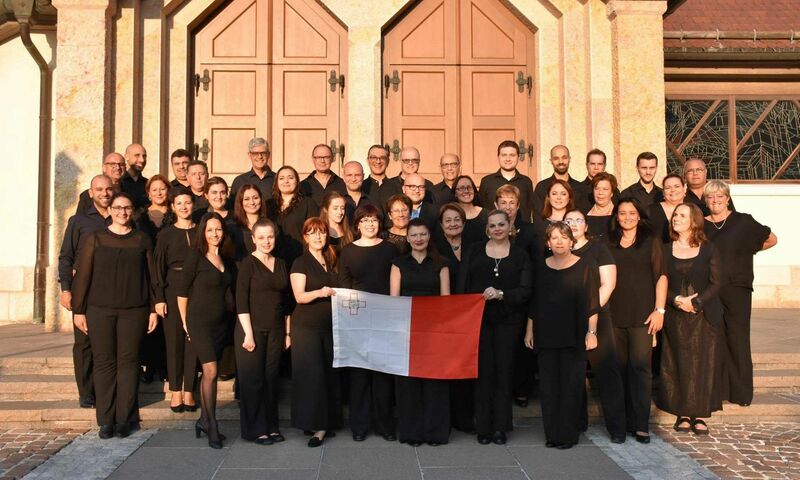 Furthermore, the choir has participated in a number of local national festivities, including three editions of the Malta Arts Festival in 2008, 2010 and 2013. TNCS has performed alongside The Malta Philharmonic Orchestra and works closely with leading musicians, composers, and conductors. To date, these have included Michael Laus, Damiano Binetti, Brian Schembri, and the internationally renowned conductor, Wayne Marshall with whom the singers work on a regular basis. Other partnerships include those formed for collaborative choral performances, during which the singers have been joined by both local and foreign choirs. Seeking to broaden its horizons and talents, TNCS has undertaken tours in Italy visiting the regions of Assisi in 2010 where the choir performed in the prestigious ‘Basilica Superiore’ during a concert under the patronage of the Grand Master of the Order of St. John, as well as Alto Adige in 2018, and in the UK visiting the Cotswolds. On these occasions the singers performed both formally and informally, receiving high praise and making international friends. We cordially invite you to browse through our site and look forward to hosting you as our guest to any of our forthcoming events.